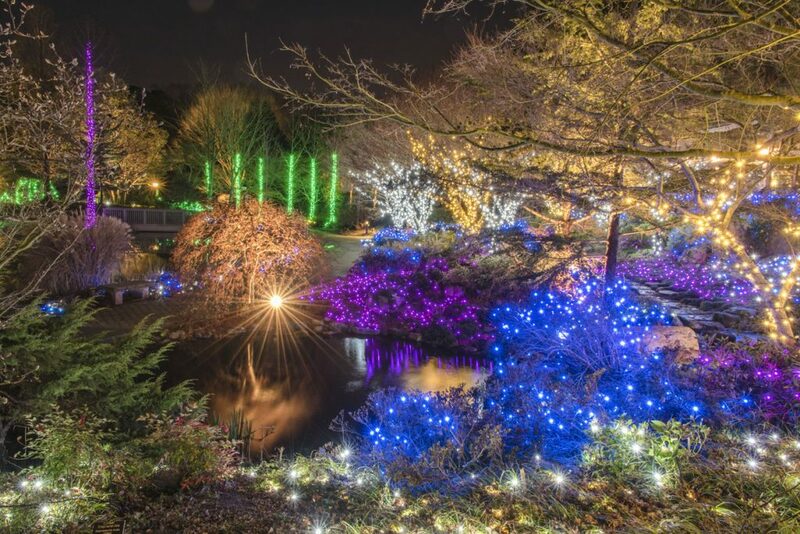 Dominion Energy GardenFest of Lights is the perfect backdrop for your office Christmas party. Image by Don Williamson. Celebrate the holidays with Lewis Ginter Botanical Garden! We’d love to host your upcoming holiday celebration, whether it is a private party, an office Christmas party, or a thank you event for corporate clients. 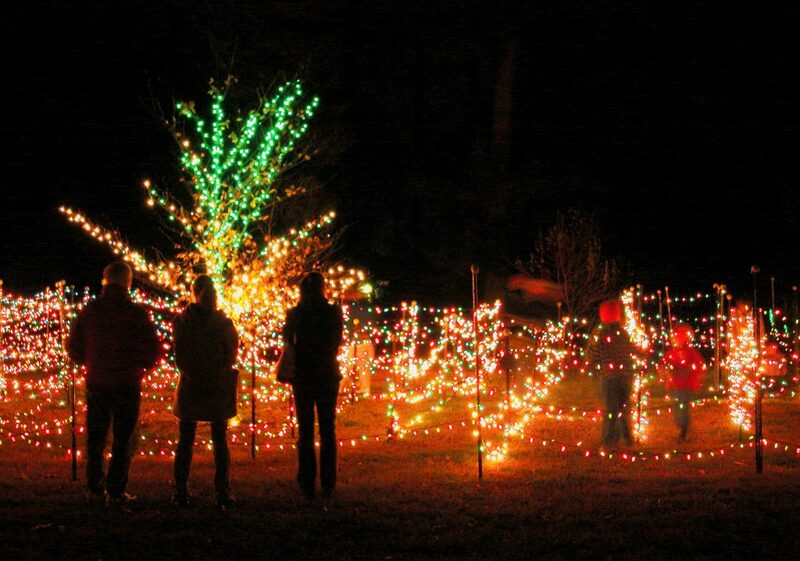 If you are looking to host an office Christmas party that is unique, memorable, fun and welcoming to everyone, then a holiday rental during Dominion Energy GardenFest of Lights will be the perfect fit. Our annual holiday light show is a Richmond tradition! GardenFest runs 5 to 10 p.m. nightly November 23, 2018 – January 7, 2019. We close each year on Christmas Eve and Christmas day, December. 24th and 25th. A holiday tradition featuring a million twinkling lights, hand-crafted botanical decorations, model trains, holiday dinners, firepit with s’mores and hot chocolate (for purchase); nightly family activities & more. The region’s ultimate holiday extravaganza! We have lots of great options to make your holiday rental a fabulous night to remember. We offer delicious catering packages from our exclusive in-house caterer, Meriwether Godsey, that can even include cozy hot chocolate stations or festive holiday cocktails. • GardenFest admission for your guests the evening of your event (a $13 value per person). • If it is raining the evening of your event, we will provide GardenFest tickets to your guests so they can come back another evening to enjoy GardenFest of Lights. • Daytime holiday rentals offer a 30 percent corporate discount and 40 percent non-profit discount, as well as the opportunity to purchase discounted GardenFest of Lights tickets for your guests — perfect for holiday gifts!